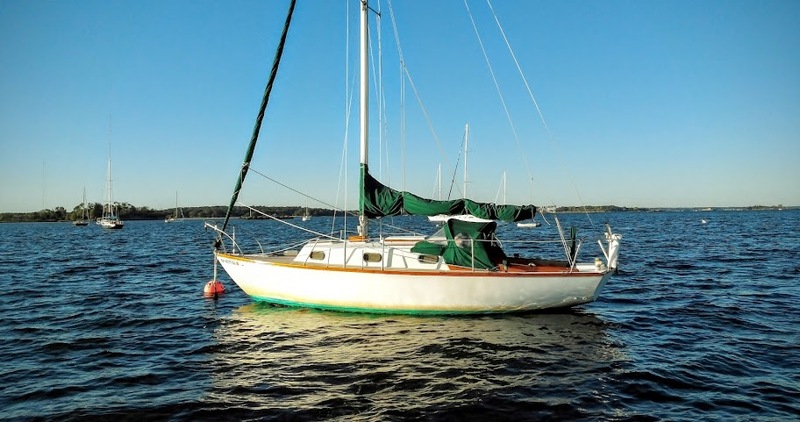 This boat is a Sloop with a Mast-head Rig, and 354 sq. feet of sail area. She has 2 Sails, Including Main Sail, Genoa. She has a Full Keel. The Hull is Original Gel-coat, and is in Buffed and Waxed condition. 1 Yanmar Diesel Engine, 15 horse power with 100 Hours. 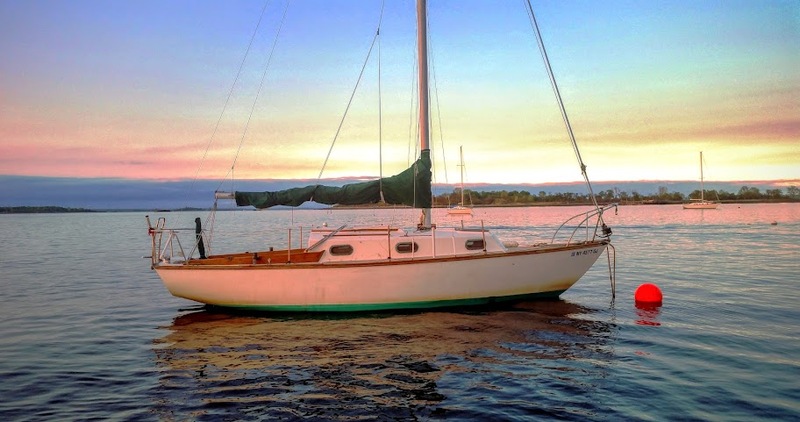 Your sailing dreams can come true aboard this classic Cape Dory 27. 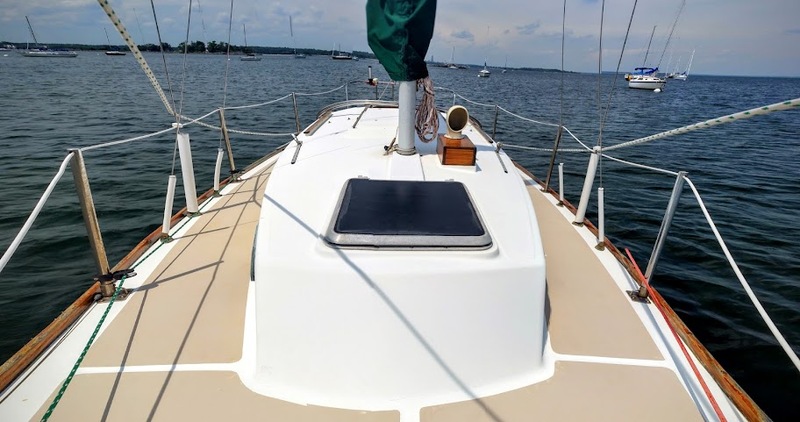 Because classic Sailboats come in all shapes, sizes and condition, but this one will meet your expectations in all of the these categories. That means a well thought out layout, great sail-plan, and attractive lines, will have you spending your free-time enjoying her more. 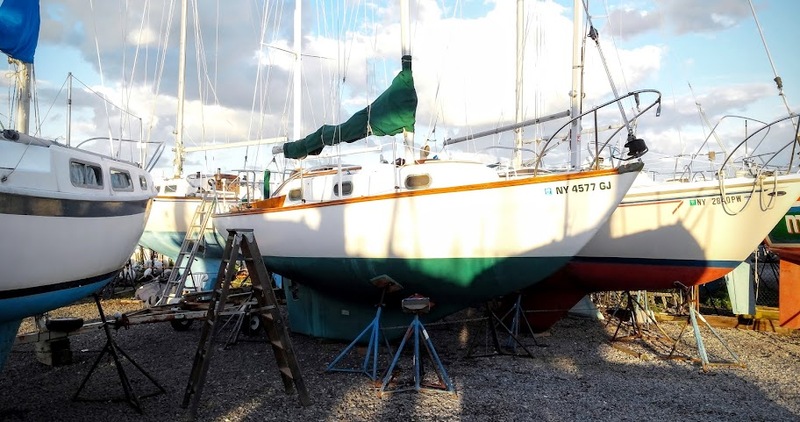 You will be extremely impressed by the care and maintenance that this Cape Dory 27 has seen. That is, that she has been upgraded with a new Yanmar two cylinder diesel engine, perfect for powering her through the waves. 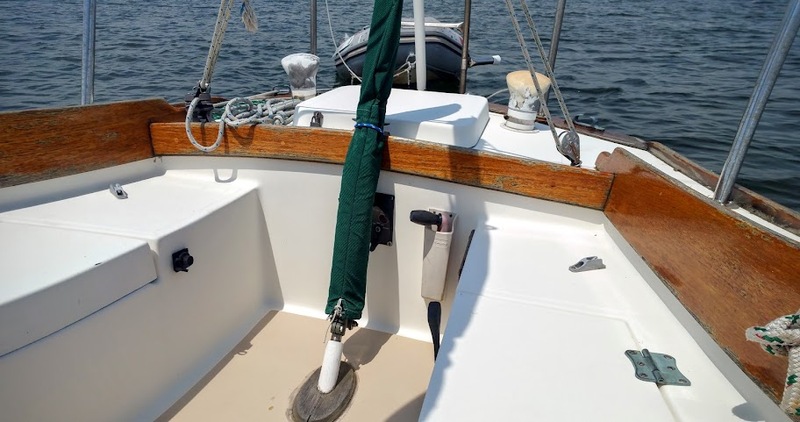 Her sails are in excellent shape, and her Harken roller-furling is the best choice to keep her well balanced in heavy weather. When the seas get rough, you will be protected by her Sunbrella Canvas dodger and Bimini, making any trip a dry one, from the safety of her roomy cockpit. Navigation is a cinch with her new GPS, and you will feel good to the leave the cockpit at times, when relying on her tiller-pilot for remote steering. Your comfort comes first, and when spending nights aboard, you will be at ease. For below deck, she has all the necessary equipment to make you feel at home, away from home. 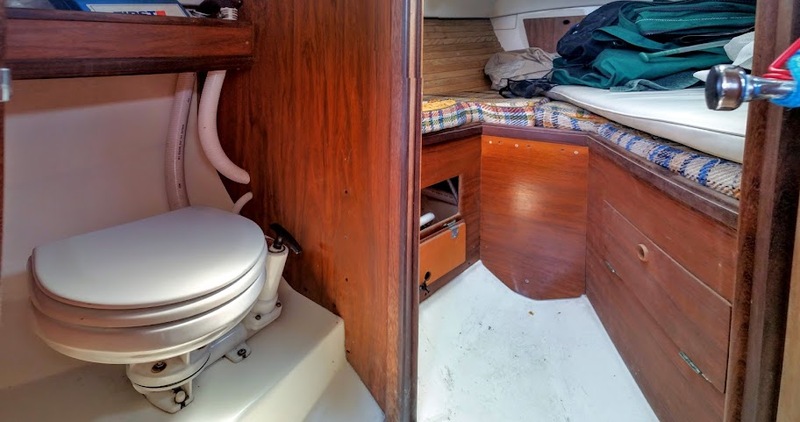 Along with a fully capable Galley, that includes an Origo alcohol stove, sink, and Icebox, she boasts a new head with holding tank, and extremely clean. 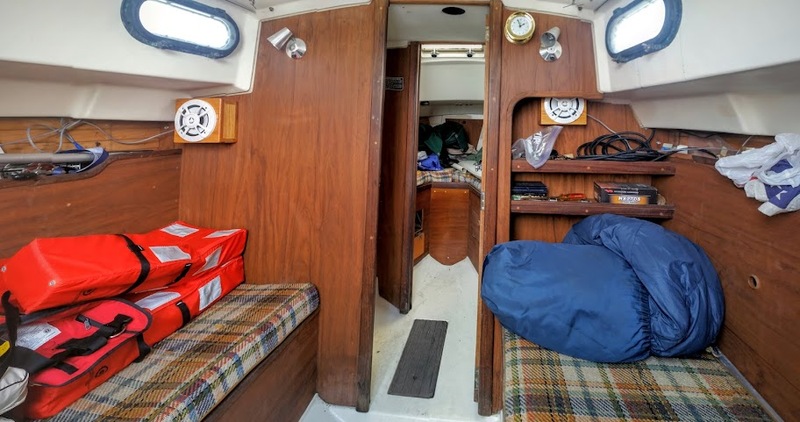 Her cabin is decorated with Teak plywood and wooden batons are beautifully laid along the hull, giving you the sense of owning a high-class yacht. A new sound system with stereo speakers have been installed, along with modern lighting provided by stainless steel fixtures. For your adventures on the high seas, this Cape Dory 27 is truly your best bet to meet the challenges, and enjoy the serenity of the Ocean. 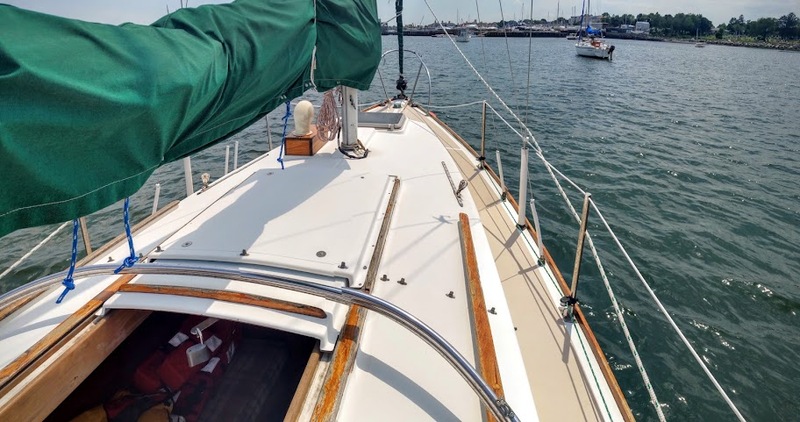 She is just the right fit for you, and she awaits your arrival, on her mooring off of City Island. Come get her.